﻿ Kings Island Amusement and Water Park - Ohio. Find It Here. 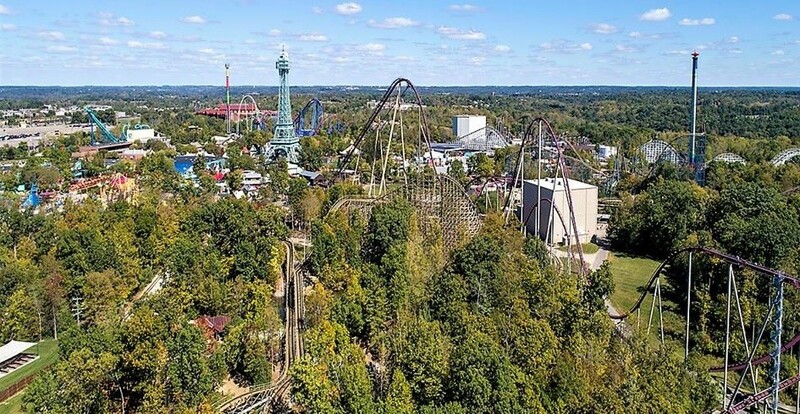 Theres more than enough entertainment to keep the whole family busy with a visit to Kings Island, one of the largest theme parks in the Midwest. The eight-year award winner for Best Kids Area in the World is the home of an award-winning waterpark and more than 80 rides and attractions, including the world famous wooden roller coaster, The Beast and Diamondback, the tallest and fastest coaster in park history! Kings Island brings you even more family-friendly fun with Planet Snoopy. This family-focused area boasts an elaborate collection of PEANUTS-themed rides and attractions for every age, including more kids' roller coasters (four) than any other park in the world. Planet Snoopy also features a live stage show and daily meet and greet opportunities with the PEANUTS characters such as Snoopy, Charlie Brown, Lucy and Linus.